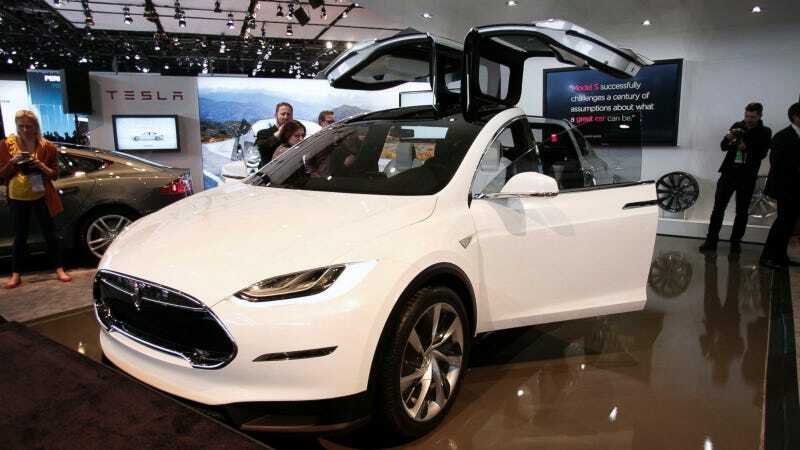 Tesla, the country's premier electric car company, has announced it will share its patents with competitors. In a blog post on Thursday, Tesla CEO Elon Musk wrote that his company will share its technology, "In the spirit of the open source movement, for the advancement of electric vehicle technology." The move might sound insane by most business standards, but as Will Oremus at Slate astutely notes, "(Musk) knows that Tesla's real battle isn't with other automakers for leadership of today's niche market for electric cars. It's the much greater struggle between electric cars and their gas-powered counterparts." The entire electric car industry, including Tesla's high-end market share, remains a relatively niche market. When Musk first co-founded Tesla in 2003, he expected competitors to try to replicate his innovations. But most companies didn't, and now he thinks the patents are unnecessary, perhaps even hindering progress. Musk notes that electric car production still represents less than one percent of total vehicle sales. And Tesla can't change the industry acting alone. "Given that annual new vehicle production is approaching 100 million per year, and the global fleet is approximately 2 billion cars, it is impossible for Tesla to build electric cars fast enough to address the carbon crisis," Musk wrote in his blog. By allowing other companies to see what Tesla is doing—and how they do it—Musk hopes his competitors will follow him into the electric car market, and help drive down production costs in the process. Tesla's open-source patent move might appear counterintuitive at first blush, but if it helps to grow Tesla's market share and corporate profits while reducing company costs, it could become a provocative model for other tech companies to follow.